1. I declare as a condition of entry into Summer 6 Football league, that I have undertaken sufficient training for the competition and that I am not aware of any illness,injury,physical disability or impairment which may cause me injury or death during or as a consequence of event participation . 2. The decision to participate is entirely my own and I accept all risks associated with participation in the competition , including but not limited to loss of life or permanent injury . 3. I release all persons or corporations associated directly or indirectly with the event from all claims, demands and proceedings arising out of my participation and I hereby indemnify such persons or corporations against all liability, loss of damage arising out of my participation in the event, including Summer 6 Football League PTY LTD and its related bodies corporate, and its respective directors, officers, agents, contractors, employees, promoters, sponsors and volunteers, including medical and paramedical personnel appointed for the event, the owners, licensees and occupiers of land upon which the event or any part of it takes place, any statutory body or local authority having control over any land upon which the event or any part of it takes place or which is involved directly or indirectly with the event in any manner whatsoever. This release and indemnity continues forever and binds my heirs,executors,personal representatives and assigns. 4. I agree to abide by all event rules and conditions, The event organisers reserve the right in their discretion to reject or cancel my registration at any time. 5. 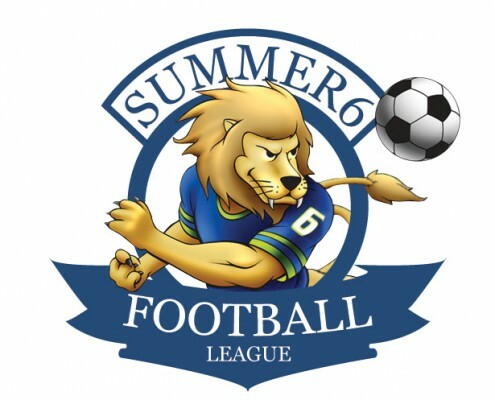 I acknowledge the Summer 6 Football League may remove me from the event area and /or exclude me from participation in the event (a)if my behaviour is inappropriate,offensive,or abusive (b)to prevent damage to any property (c)on medical and safety grounds (including to prevent possible harm to injury to myself or any other person ) or (d) to prevent or arrest any form of unauthorised marketing, including ambush marketing. 6. I acknowledge that refunds will not be issued. 7. I acknowledge if final team divisions are uneven summer 6 may organise mixed or combined divisions to form the league. 8. I declare that all the information supplied by me on this entry form is true and correct. 9. I certify that I am 18 years or older, or that I am the parent/legal guardian of the participant who is under the age of 18 years, and I have read this document and fully understand it. As a parent or legal guardian , I agree to these terms and conditions for and on behalf of the participant . 10. If grounds are closed due to council park closure S6FL Will endeavour to repay the matches . If any factors outside s6fl control i acknowledge that weather or ground availability games may also not be able to be replayed . 11. I agree participation in S6FL I acknowledge and give permission that team and individual photos /Videos may be used by S6FL for promotional and marketing purposes . I hereby apply to participate as a player in the Summer 6 competition. I acknowledge that soccer is a sport or recreational activity that by its nature carries obvious or inherent risks of personal injury to participants and at my own risk. 2. I hereby release and discharge the Summer 6 Football League of all liability for any personal injury or damage or loss of property of whatever nature or however caused that I might sustain as a result of my participation in the competition.